PreSonus manufactures a wide variety of products that are ideal for use in music education. Whether its recording, composition, or live sound, we have everything you need to learn and teach music. View our products below by category or by Teaching Level. 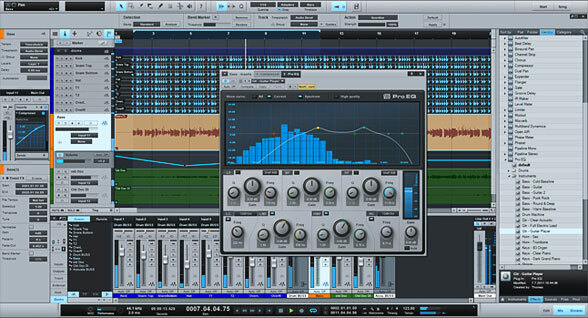 Studio One is easy to use and offers simple, drag-and-drop functionality. Teachers and students will enjoy creating music with virtual instruments, recording in class and in performance, and distributing music using Nimbit. Click here to download Studio One Free! Site licensing is available for ten or more seats. Please contact us or an education retailer for more information. PreSonus Notion professional notation software is easy to use and provides both beautiful scores and amazing audio playback featuring the London Symphony Orchestra. Notion is available for Mac® and Windows® and is the only stand-alone professional notation app for iPad®. Click for more information or get Notion right away! Check out Notion for iPad! Need lead sheets? Progression offers the same intuitive workflow as Notion and is optimized for guitar, bass, drums, keys, and vocals. Get Progression right away! Check out Progression for iPad! 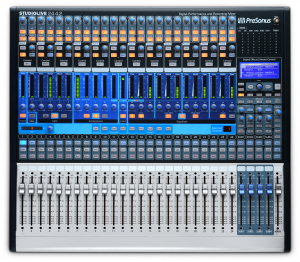 PreSonus® interfaces are perfect for recording in class and in performances. Each interface includes Studio One Artist, and we offer a range of options to suit your school recording needs. With our AudioBox i-series interfaces, you can record directly to a Mac, PC, or iPad. Creating music has never been easier! Read more about them here. Portable and durable, the AudioBox USB interface is great for recording in practice rooms, classrooms, and the concert hall. Perfect for live ensemble recording both in concert and in rehearsal, this all-in-one bundle includes the AudioBox USB, HD7 headphones, two PS626 microphones, and two XLR cables. Click here for an in-depth rehearsal video. This all-in-one bundle includes the AudioBox iTwo interface, HD7 headphones, M7 microphone, and an XLR cable. Everything you need to start recording today! This two-input, single preamp, USB 2.0 bus-powered interface provides high-quality audio I/O for Mac, Windows, and Apple iPad. Easy-to-use Studio One Artist DAW for Mac and Windows is included, and Capture™ Duo recording software for iPad is available free. Our two preamp, USB 2.0 bus-powered interface provides high-quality audio I/O for Mac, Windows, and iPad. Easy-to-use Studio One Artist DAW for Mac and Windows is included, and Capture™ Duo recording software for iPad is available free. This two-input, bus-powered USB interface with VSL software that provides a virtual mixer with metering and real-time effects. Great for mobile recording and monitoring with effects. Our four-input USB interface delivers high-quality multitrack recording and VSL mixing/effects software. Great for recording large ensembles using four microphones or to record two instruments plus two microphones. This ten-input USB interface (two mic/instrument inputs, six mic/line inputs, and stereo S/PDIF) enables multitrack recording with a virtual mixer and real-time effects. Get wireless remote control with the free AB1818VSL iPad® app. This versatile interface is great for running sound for, and recording, ensembles. If your speakers aren't accurate, you can't know whether your music is properly recorded and mixed. Many ensemble balance problems cannot be address unless the speakers have a wide frequency range and "flat" response. Computer speakers and home audio products are not designed for music recording and do not provide an accurate representation of your sound. 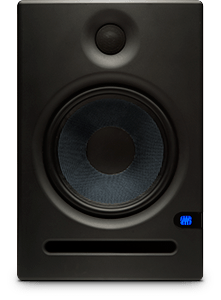 PreSonus Eris studio monitors are accurate, flat, and offer easy-to-use controls that let you adjust their response for your space. These are the ideal speakers for the classroom, lab, or school recording studio—and they're available at a very affordable price! 4.5” Kevlar woofer, 100 dB peak output, 70 Hz - 20 kHz frequency response, user controls that let you adjust the speaker for your space. 5.25” Kevlar woofer, 102 dB peak output, 53 Hz - 22 kHz frequency response, user controls that let you adjust the speaker for your space. 8” Kevlar woofer, 105 dB peak output, 35 Hz - 22 kHz frequency response, user controls that let you adjust the speaker for your space. StudioLive mixers are extremely versatile and offer a whole-school solution, whether it is running sound for performances, multitrack recording, or both! 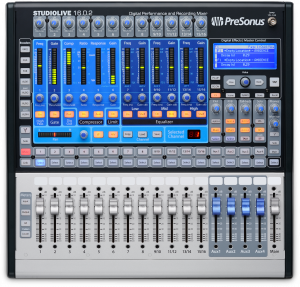 Each mixer includes built-in effects, Studio One Artist, and Virtual StudioLive-AI control software for Mac and Windows. 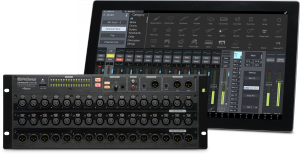 You also can remote control the mixer wirelessly using free StudioLive Remote-AI for iPad and can mix monitors wirelessly with free QMix™-AI for iPhone®/iPod touch®. A portable and versatile recording and performance mixer with 16 channels (12 preamps) and 4 aux sends—great for all of your school needs! With 16 input channels, 6 aux sends, 4 subgroups, 32x18 FireWire recording, and Active Integration™ technology with wired and wireless networking, this model is perfect for small theaters, auditoriums, and the marching band! Featuring 24 channels, 10 aux sends, 4 subgroups, 32x26 recording, and Active Integration technology with wired and wireless networking, the StudioLive 24.4.2 is ideal for the school auditorium and theater. The top-of-the-line digital mixer delivers 32 input channels, 14 aux sends, 4 subgroups, 48x34 recording, and Active Integration technology with wired and wireless networking. This is your best choice for any large ensemble and major venue! 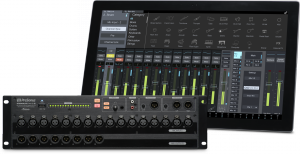 Based on the StudioLive™ AI-series mix engine and controlled with battle-ready UC Surface software for Mac, Windows, and iOS®, the StudioLive RM16AI 32-channel, 16-input, 8-output, rack-mount Active Integration™ digital mixer is scalable, compact, and 100 percent recallable. Perfect as a portable mixer or for school installation. 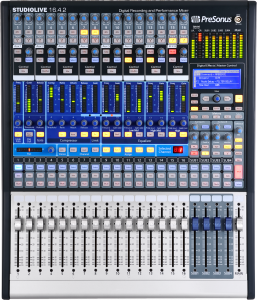 Based on the StudioLive™ AI-series mix engine and controlled with battle-ready UC Surface software for Mac, Windows, and iOS, the StudioLive RM32 AI 32-channel, 32-input, 16-output, rack-mount Active Integration™ digital mixer is scalable, compact, and 100 percent recallable. Perfect as a portable mixer or for school installation! 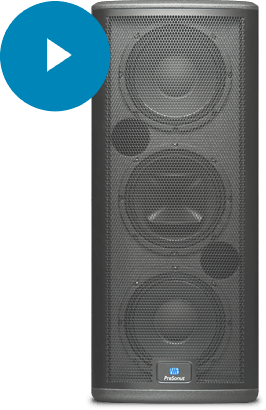 StudioLive AI Active Integration Loudspeakers are ideal for both indoor and outdoor ensembles. With their unique CoActual™ driver design, these speakers deliver the power and clarity that your ensemble deserves. Click to read every detail. This system was extremely successful for the Blue Devils Drum and Bugle Corps in their record-breaking win at the 2014 DCI World Finals. Check out the Blue Devil's System! Click on your school level below to see ideas for integrating PreSonus music-technology products into your school curriculum. Each product is linked to the full product description. Be sure to purchase from one of our education dealers! Record studio lessons and ensemble rehearsals with an AudioBox™ recording system and Studio One®. Click here to view tutorial! Record performances and rehearsals with the AudioBox Stereo. Record performances using an AudioBox recording system or StudioLive™ digital mixer and Studio One. Compose using Notion® notation software. Compose music using MIDI and virtual instruments in Studio One. Teach music technology to all music students using Studio One. Teach mixing and live sound using AudioBox VSL interfaces with Virtual StudioLive™ software. Create practice tracks using MIDI in Studio One. All students can use Studio One Free to record, edit, share, and analyze audio files. Share performance recordings using Nimbit®. Run sound for, and record school performances with, a StudioLive digital mixer. Teach composition using loops, MIDI, and audio recording in Studio One. Teach composition using Notion notation software. Export audio files from Notion and/or Studio One and promote on Nimbit®. Create a student-led recording studio using an AudioBox recording system or StudioLive digital mixer with Studio One. Have students promote the school ensembles using Nimbit. Teach mixing and live sound using AudioBox VSL interfaces with Virtual StudioLive. Create and produce interdisciplinary projects, such as podcasts and documentaries, for other courses, using Studio One. Students can use Studio One Free at home to record, edit, share, and analyze audio files. 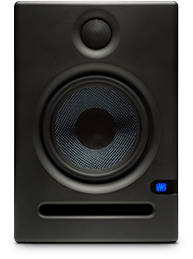 Use Eris™ studio monitors for high-quality audio listening. Record everyday class performances with the AudioBox Studio or an AudioBox recording system and Studio One. Record concert performances with an AudioBox recording interface and Studio One. Upload student performances to Nimbit and enhance your ability to fundraise for the program. Compose and arrange music using Notion notation software. Record multiple voices/sections/instruments using an AudioBox 44VSL, AudioBox 1818VSL, or StudioLive mixer. Play back tracks and mixes for individual feedback. 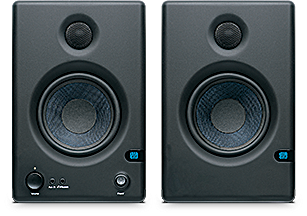 Use Eris studio monitors for high-quality audio listening. Run sound for and multitrack record the ensemble with a StudioLive digital mixer or AudioBox 1818VSL and Studio One. Record backing tracks for solos using an AudioBox interface or StudioLive digital mixer and share with students. Create backing tracks using MIDI files and loops in Studio One. Import background tracks into Studio One and have students play along and record solos for improvisation training. Import and time-stretch jazz solos in Studio One for easy transcription. Record performance assessments for easy playback and data collection with an AudioBox recording system and Studio One. Students may use Studio One Free at home to record, edit, share, and analyze audio files. 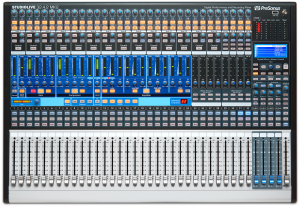 Run sound for and record school performances with a StudioLive digital mixer. Record performances and rehearsals with AudioBox Stereo. Record everyday class performances with AudioBox Studio or an AudioBox recording system and Studio One. ​Record concert performances with an AudioBox recording interface and Studio One. Upload student performances to Nimbit with the ability to fundraise for the program. Record multiple voices/sections/instruments using an AudioBox 44VSL, AudioBox 1818VSL or StudioLive mixer and playback for individual feedback. Use the tuner, metronome, or Melodyne pitch correction in Studio One Professional to analyze performances for improvement. Use Studio One music loop drum beats as a metronome for a fun way to keep time. Share rehearsal recordings with students for follow-up listening using SoundCloud™ through Studio One. Record everyday class songs with AudioBox Studio or an AudioBox recording system. Upload these performances to Nimbit to share with families. Play background tracks and record students singing along with Studio One and an AudioBox recording interface. Pre-record piano parts for songs either live or before class using a MIDI controller in Studio One, allowing hands-free playback and tempo adjustment so the teacher can move around the class with the students. Teach composition using loops and MIDI in Studio One. Teach instrument identification using the London Symphony Orchestra sounds in Notion. Use Studio One Musicloop drum beats as a metronome for a fun way to teach steady beat.